HV-K-Lads, I've been reliably informed that our good friend, Kapt'n Holister (Nigel) is making a brief comeback from Mexico. A window of opportunity for a loffee and get-to-gether is on Friday, 24th August, at Maitland Information Centre, 09:30. All welkome (of course!!) Hope to see you there! Good thing Rickmeister - its in the diary to help me not turn up on a Monday. I wonder what they have for smoko in Mexico? You beauty Friday the 24th. My sign off is 9:20 for the morning run so by the time I get there 15 mins the Konversations and Loffee should be flowing freely. sorry folks , I'm working . Enjoy . Lads!!! As our illustrious K-friend, Nigel (Kap'n Holister) is/was to be the "guest of honour" at the aforementioned Loffee session, it NEEDS to be changed from Friday, 24th to Saturday, 25th August. Time will still be 09:30 at the Maitland information centre. I will get there a bit earlier, as I need to be at the bar at the golf club at 11:00, for pre-match warm-up for battle on the links. (Read 3-4 schooners...). Sorry about any inconvenience, but that is the way it is!! Saturday works Great for me!!! Evening Boys....Spoke to Nigel and if its ok I will meet up for a loffee with you all....If Sean is able to attend I can strap a fuel tank on my back for his 84 naked. Klompy, why not invoke the pony express model and bring the tank for Sean up to the Hunter anyway and then it will make its way north with whomever next heads up Guyra way. That’s the plan. I will be the guy with the spare tank on his back. If Sean cannot make, it can have a holiday in Maitland. The good news is that my visitors are leaving on Friday so I can make it. On the other hand, the weather forecasts are predicting some much needed rain from Friday through Sunday so I might get up at some ridiculous hour and do a mad run down the NE hwy in the car. Otherwise Seamus and I were planning on camping at Clarencetown. Klompy, is there anything else you're after apart from the late model tank? No , thanks anyhow Sean as it goes I do not really need a late model tank at the moment so please leave it at Guyra for rest. Should anyone’s need be greater than mine. Hope it’s not too horrible early Saturday but we shall see. The weather is great today because it’s a work day of course. 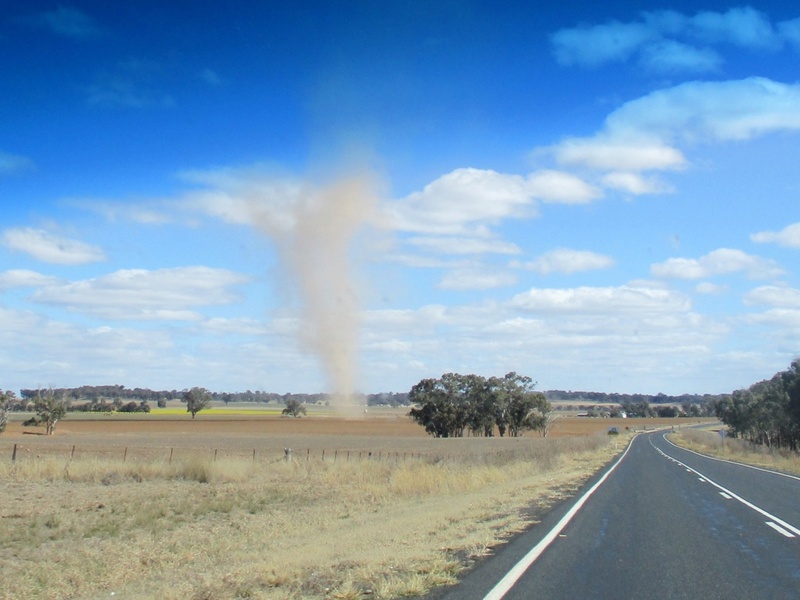 According to the MET office it’s going to shower Friday and absolutely piss down Saturday, now they are sometimes wrong like the time we all rode into Guyra during a Tornado but as I only have bikes at the moment if it’s truly horrible I will have to postpone the run to maitland. It’s not the rain or the distance it is the hour of Sydney traffic in and out that is lethal. 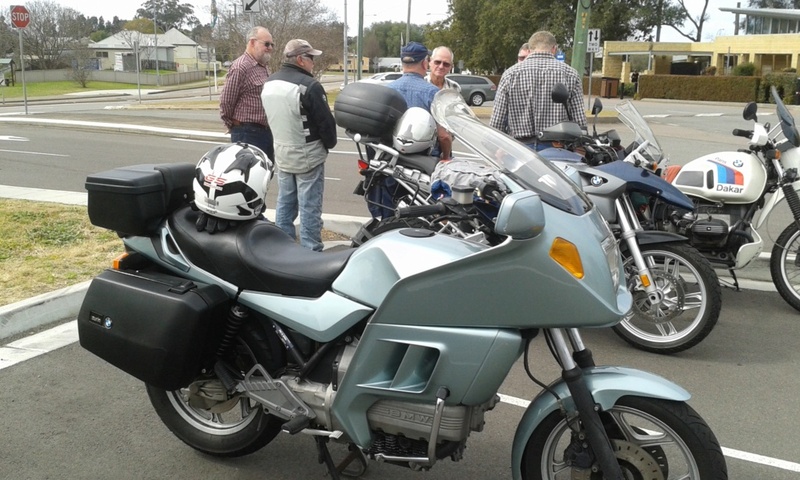 I will be going through Guyra 15th or 16th Sept. I can drop off. Waz, that sounds great for me ! We'll be home and you're welcome to stop over if you're heading somewhere and need a bed. Klompy, I'll happily make the trip down in the car on Saturday but if the weather turns out to be a rain event( Fingers crossed fort the farmers) then I certainly don't want you risking life and limb for some bike bits. I'm not in a hurry for them and any time would be fine for me. Much as I was looking forward to a catch up with Ulli, Tom and the rest oif the Hunter Krew, I'm sure we'll catch up on a ride soon. 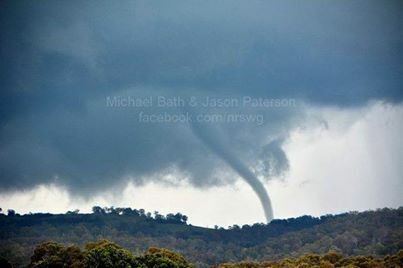 Ah yes.. the Guyra Tornado.... those were the days..... Was it Ulli who had the flat tyre in the middle of it all? 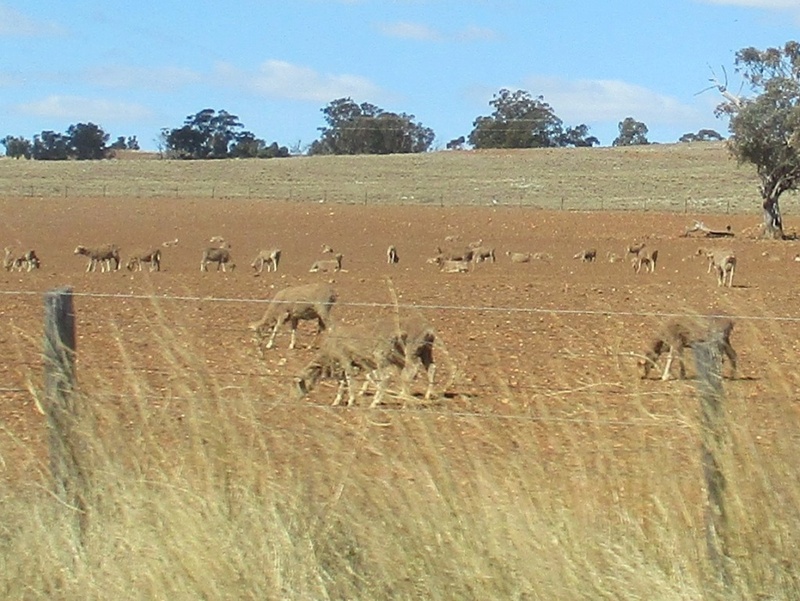 Attached is a pic or two from a trip down to Leeton last weekend to see my brother. We really need some rain. I will be intouch, heading to Inverell to get a bit on the side. The left side. That's not looking good at all Seanii. At least our 'drought' is over and it's all turned green again. The downside is, as usual, we get temperatures at around half those of England. Only the north of Scotland gets it worse. 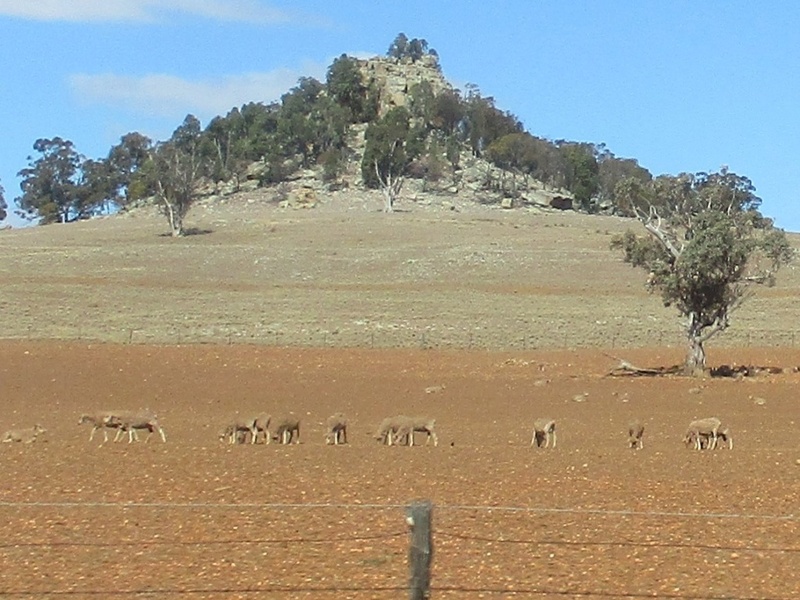 Yes.... it's as dry as a dead dingo's donger in some parts. Waz, spill the beans mate! Are you looking at a sidecar? A complete outfit? Is it a K bike? Can I come along and look at it with you? I have bought a DJP from Phil, sidecar only. I will pick you up on way through if you are free. Starting to gather K100 parts to try and make a more stable one this time. I want to make one that doesn't dance around so much. Waz,Waz,Waz what are you thinking. We have discussed this at length. This is not childbirth pains that you forget, it is sphincter tearing fright, Remember??? Just saying. Thanks RT I have been trying to forget the loose wheel incident, but I stayed on, I didn't stay on the r bike when I got tackled by a tractor a couple of months ago so another scare chair could save me pulling dirt and grass and dirt out of my bike gear and ears next time I am attacked by machinery. I am still finding bits of long grass in that bike. I thought that the Far Cairn ride to Tottenham was on the weekend of 15th/16th Sept??? It is Rick. Link to the BMW Club Website here. Who could forget the gravel washed over the road, the side winds, the rain, oh the rain. And seemed to me that the worse it got the faster we all went, even me. Water in the final drive was the only damage to the mighty K, nary a blip in the engine or electrics. Good old days. Loffee was good, Heap of Knuts turned up for a loffee. Much chatta ensued and the Loffee was consumed. I didn't get to stay long but had a great time yacking with everyone. Man we all but had to bolt a few extra tables together for us there were that many. Really great time from the Kagents. A Kagy Korner of Kodgers there was. Thanks Rickmeister, a good job. Really happy I had a catchup chat with Tom too. 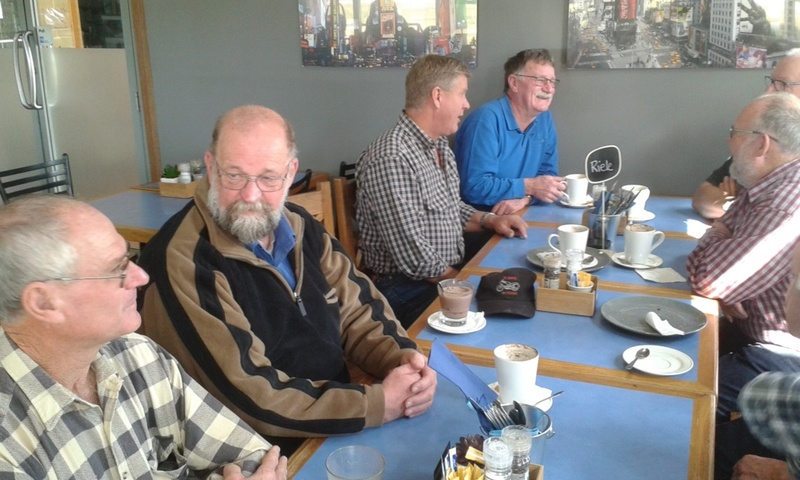 A very enjoyable morning with the local and not so local Krew, joining us for koffee. 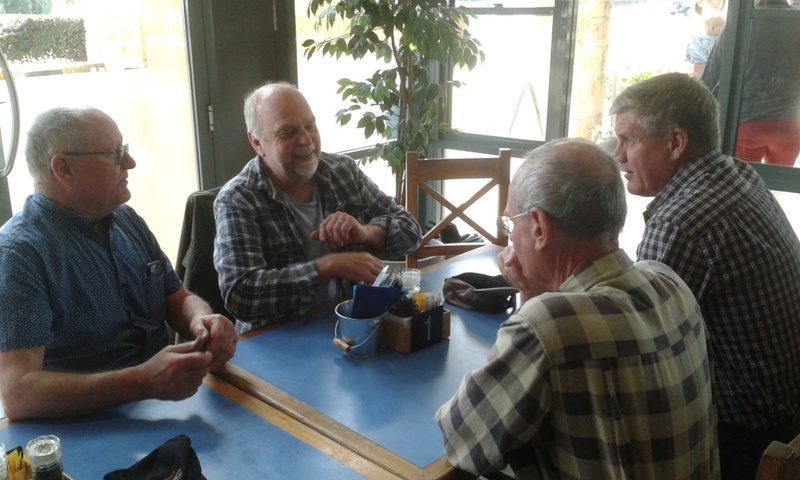 Thanks to our guest of honour , Nigel for his kompany , and also to Stuart , Bob and Trevor who helped to add some varied chat into the gathering . Thanks Rick for putting it all together.